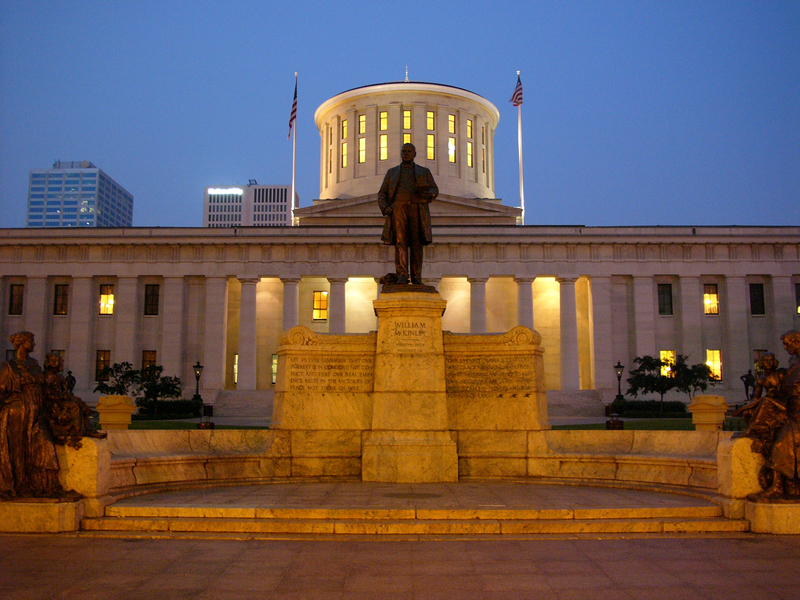 The Ohio Nurses Association testified in opposition of House Bill 501 of the 132nd General Assembly- a bill aimed to change the title of registered veterinary technician to registered veterinary nurse. ONA feels so strongly regarding title protections that we have drafted language we hope to introduce as an amendment to the state budget that will reserve the title “nurse” for individuals engaging in human care. The following is the letter submitted from Brian Burger, President, Ohio Nurses Association, to the Ohio House of Representatives. The Ohio Nurses Association (ONA) has been engaged with the Veterinary Nurse Initiative coalition through the American Nurses Association (ANA) to garner a better understanding of the desire to standardize and increase the education and training of Veterinary Technicians under a single credential. Additionally, a member of the Coalition spoke to us, as well as 34 other state nursing association representatives at an ANA sponsored meeting in September of 2017. While we commend the North American Veterinary Technician Association’s (NAVTA) desire to standardize Technicians, we do not support the use of the title “nurse” for this role, nor do we support the designation of a Veterinary Nurse in the Revised Code. We testified in opposition of House Bill 501 of the 132nd General Assembly- a bill aimed to change the title of registered veterinary technician to registered veterinary nurse. The bill was unsuccessful at passing through the Senate during Lame Duck, however, we are aware that they bill will be introduced soon and we continue to stand in strong opposition. (A) “Registered nurse” means an individual who holds a current, valid license issued under this chapter that authorizes the practice of nursing as a registered nurse. No person shall engage in the practice of nursing as a registered nurse, represent the person as being a registered nurse, or use the title “registered nurse,” the initials “R.N.,” or any other title implying that the person is a registered nurse, for a fee, salary, or other consideration, or as a volunteer, without holding a current, valid license as a registered nurse under this chapter. (D) No person shall engage in the practice of nursing as a licensed practical nurse, represent the person as being a licensed practical nurse, or use the title “licensed practical nurse,” the initials “L.P.N.,” or any other title implying that the person is a licensed practical nurse, for a fee, salary, or other consideration, or as a volunteer, without holding a current, valid license as a practical nurse under this chapter. Our association believes that the definitions explicitly defined in ORC 4723 protect the practice of nursing, much like language in ORC 4741 protect the practice of veterinary medicine and its branches like registered veterinary technicians. Changing the title of veterinary technician to veterinary nurse would undermine title protections and the “practice of nursing” that have been secured through Ohio’s state statute. We strongly believe that NAVTA should seek national standardized credentials using Ohio’s registered veterinary technician language as a model for other states who need updating without changing their title. From ONA’s perspective, it would appear that credential standardization using the title registered veterinary technician would expedite this change, rather than attempting to change all 50 state statutes. Justifiably so, the Tennessee legislature feels the same. Just last week the Tennessee Senate Agriculture Committee voted to take NAVTA’s model “veterinary nurse” bill off notice, which essentially killed the bill in their current legislative session. We can certainly sympathize with the veterinary technicians and commend any attempt to raise education and practice standards, however this national initiative will continue to run into road blocks where the title “nurse”, “registered nurse” and “nursing” are protected under various state statutes. Moreover, we believe that trying to change 50 state statutes does not solve the overarching problem of public awareness, as stated in NAVTA’s proponent testimony during the last General Assembly. It is ONA’s belief that perhaps NAVTA should focus their efforts toward a public education and awareness campaign and focus their time on states who are identified as needing updates to educational standards and credentialing. We appreciate the opportunity to weigh in on this important issue.